Ohio Official Says Proposed Amendment Could Block Marijuana Legalization Initiative . GOP Secretary of State Jon Husted said last Friday that an amendment to block private-interest monopolies would render the ResponsibleOhio  legalization initiative invalid if the former passed. Husted and Republican lawmakers have vowed to adopt a resolution to place the monopoly amendment on the ballot. Husted said that if that amendment passes, the ResponsibleOhio initiative would be invalid, even if it also passed, and even if it passed with more votes than the monopoly amendment. The ResponsibleOhio initiative would limit commercial marijuana growing to ten specified locations, the owners of which are also the financiers of the initiative campaign. Montana Anti-Marijuana Initiative Proposed . Billings anti-pot zealot Steve Zabawa is back at it. In 2014, he proposed an initiative saying that any federal Schedule I controlled substance (read: marijuana) "may not be legally possessed, received, transferred, manufactured, cultivated, trafficked, transported or used in Montana." It failed for lack of signatures. Now he has filed the same initiative again. Dalai Lama Endorses Medical Marijuana . Speaking at a an event in Guanajuato, Mexico, last week, the spiritual leader of Tibetan Buddhism said he supported the use of marijuana for medical purposes. 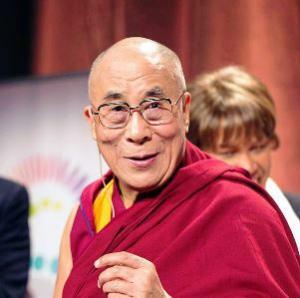 Speaking in response to a question about legalizing marijuana, the Dalai clarified that he opposed its recreational use, but using it medicinally would be "the exception." White House Removes Crucial Barrier to Marijuana Research . The Obama administration announced  today it is ending a major impediment to marijuana research, the Public Health Service review. That hurdle, created under the Clinton administration, required all applications for marijuana research to undergo an individual review, slowing down marijuana research and making it more difficult to study than heroin or cocaine. First Massachusetts Dispensary Approved to Sell Medical Marijuana; One Inspection Left . The Alternative Therapies Group in Salem is ready to start selling to patients after winning a temporary waiver from state testing guidelines widely viewed as too strict. The Department of Public Health has said it will reconsider the standards. The dispensary is one of four in the state that have started growing their own supply, and is the furthest along. It must still pass a final inspection before it opens its doors. Much more at the link. California Appeals Court Upholds Making Employer Pay for Emotional Distress from Random Workplace Drug Testing . The court upheld an award for the intentional infliction of emotional distress on two law office workers pressured into taking a random drug test by their employer. The employee handbook called for random drug testing for certain safety-sensitive categories, or after an accident or for probable cause, but the company compelled all employees to undergo drug testing on one day in 2011. The two plaintiffs were awarded $15,000 each in damages by the trial court, which is what the appeals court just upheld. Philly Court Throws Out 58 Convictions Tied to Dirty Narcs . A Common Pleas Court judge last Friday reversed 58 convictions in cases linked to six former Philadelphia narcotics officers. The six were cleared of criminal corruption charges in federal court in May, but their misdeeds have tainted hundreds of cases. The Public Defender's Office is seeking reversals of 1,370 cases, and the city is facing 135 civil rights lawsuits based on the unit's behavior. Since 2013, prosecutors have refused to prosecute cases tied to the squad after numerous allegations they planted evidence, beat and robbed suspects, and falsified paperwork. Much more at the link. Louisiana Governor Rejects Clemency for Black Man Doing 13 Years for Two Joints . Gov. Bobby Jindal (R) last week denied a clemency petition for Bernard Noble, sentenced to 13 years in prison for two joints under the state's draconian marijuana laws. Jindal said he rejected clemency because Noble had not yet served 10 years in prison. China's Wide Open Illegal Drug Chemical Factories . It's pretty darned easy to get new synthetic drugs by the pound or more from Chinese manufacturers, according to this New York Times report. Need spice or flakka or bath salts? It's just a few clicks away.